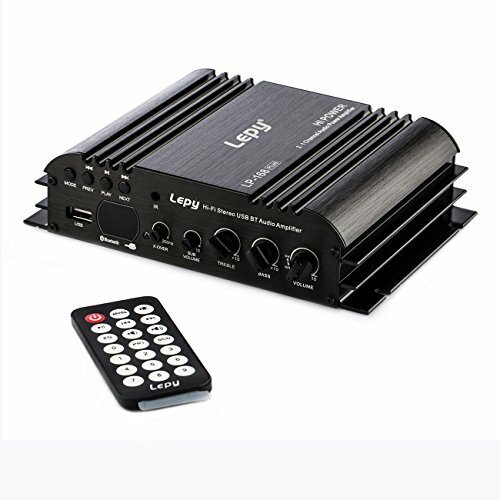 Lepy LP-168plus has a stylish look, which is covered with pure aluminum shell. This machine is equipped with a AC Power Adapter, and the output power of the adapter is 19V 3A. If you have any questions about this product by Lepy, contact us by completing and submitting the form below. If you are looking for a specif part number, please include it with your message. VoiceBooster Voice Amplifier 10watts Black MR1506 (Aker) by TK Products, Portable, for Teachers, Coaches, Tour Guides, Presentations, Costumes, Etc.